Veteran Jazz singer, Dorothy Masuka has died at the age of 83. Her family has confirmed her death. Masuka was born on September the 3rd 1935, in Bulawayo, in the former Southern Rhodesia, which is now called Zimbabwe. She was the fourth of seven children. Masuka’s mother was Zulu while her father was a Zambian hotel chef. 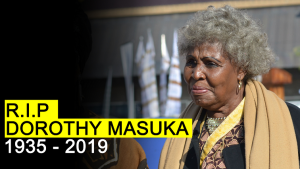 The post Veteran Jazz singer Masuka passes on appeared first on SABC News – Breaking news, special reports, world, business, sport coverage of all South African current events. Africa's news leader..